Unlike many of you ladies who learned sewing skills while growing up, I was raised as a typical healthy boy. l played all sports, had a happy and normal childhood, went away to college, procured a good job, married my wife (Karen) of 42 years whom I had known since 4th grade, and moved across the country several times for professional advancement. I retired from a successful career in a very high-profile, stressful position in 2011. How did I get away from the office and relax? I taught myself to quilt! As with many other families, we possessed a couple of old family quilts. In the early 1980’s, my employment required more and more travel. When you travel for business, there is often a lot of “down” time. I started visiting local antique shops with no real collection in mind. At the same time, Karen took her first of many quilting classes, and the children and I would drive her to a weekend class and spend the day doing other “kid” things. On one of my trips to Washington D.C., I spotted an unfinished (unbound) antique quilt hanging on a wall at a shop in Georgetown. I called and she explained that binding the quilt would be simple. 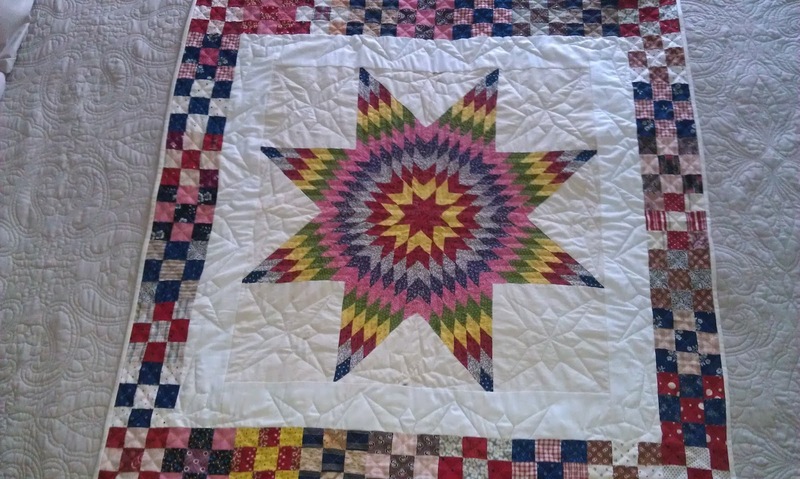 I bought it (an 1870’s 8-pointed star), and 35 years later we have over 400 antique quilts and tops, around 1,500 old blocks, a collection of vintage fabric that is used for restoration, over 350 quilt books, and a home designed around the collection. Most were purchased at antiques shops and estate auctions but, sadly, we do not have the provenance on very many of them. Is it now a hobby or an obsession???? Who knows! My favorite thing to do is to complete one of the old tops (I prefer the 1860-1880 era) by doing historically-accurate hand quilting. I appreciate the artwork, skill, and time needed to do machine-quilting, but I cringe when I see a truly vintage quilt with machine quilting. To me, that is like restoring a log cabin with aluminum siding! We have visited literally hundreds of quilt shops around the United States, and I am always searching for reproduction fabrics appropriate to the era as backs for our antique quilt tops. To finish the quilt “sandwich,” I now ALWAYS use Quilter’s Dream Batting, Request Loft. 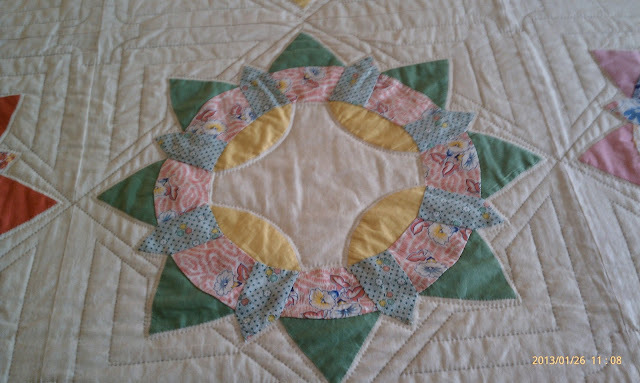 I have hand-quilted over 125 quilts, most of which are vintage tops. In my earlier quilting years, I tried different batting materials (never polyester with vintage tops), and I have settled on this one as the easiest to needle and the most authentic for completing the vintage tops. In my retirement, I now complete 6-8 quilts per year, so our inventory of vintage tops is slowly dwindling! Though I have sold a few quilts, taught hand quilting, and have attended the American Quilters’ Society classes in Paducah, KY, to become a certified appraiser, I have never wanted to turn my hobby into a business. 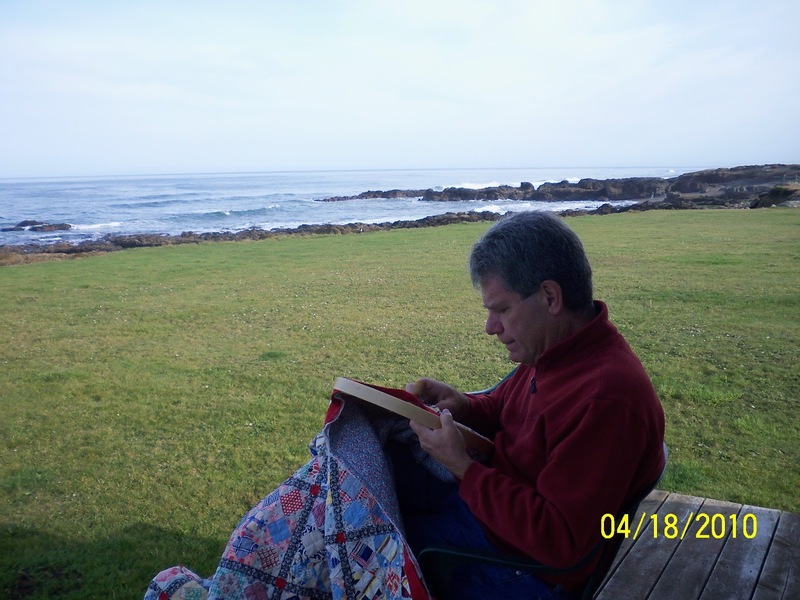 I have been asked to hand-quilt for others, restore a damaged old quilt, sell vintage quilts or fabrics, design quilts, and other requests, but my hobby is selfishly for my enjoyment! But I do enjoy sharing our quilts and have done so many times by giving trunk shows, offering them to be displayed in local quilt shows, lending quilts in museums, allowing shops and individuals to copy or reproduce quilts, tops, or blocks. I would like to document the extensive collection through a book, but I’m too busy quilting! We have enjoyed making many friends through our quilting hobby and have had lots of people visit us in our home, which doubles as a quilt museum! Hearing that someone has a lot of quilts is one thing, but seeing this many in one place is a real treat for another quilter! There are always projects underway, but I limit myself to working on three quilts at a time. Since it takes 75-150 hours to complete the hand-quilting for a vintage top (depending on the complexity of the quilting pattern selected), I work on three at a time so that I don’t get “bored” with just one. Hand quilting is a repetitive process, and that can happen! I quilt in a 16” hoop so that the hobby is a portable one. I have quilted mostly at home, but my quilting locations have included shows and demonstrations, airplanes and airports, hotels and b&b’s, beach and mountain houses, friends’ houses, quilt shops, and even the occasional outside location. Quilters Dream Request Loft batting makes it easier for me to quilt the way that I want to quilt. I also have my favorite thimble, quilting thread, needles, and hoop, but that’s another story for another time.